At O&K we pride ourselves on delivering excellent results and truly making a difference. Here are a small selection of accounting testimonials, as well as positive comments about our tax and business advice services. “O&K have turned out to be a wise and important appointment for Kato Enterprises Ltd. O&K was first introduced to us over 10 years ago through a business associate and at the time we hesitated because we had already an established relationship with a well-known accountancy firm for a few years. We know our finances are in good hands, this enables us to focus on the real business of the day and drive the growth we have been able to achieve to date. O&K are always open, frank, what’s more they are always contactable when you need urgent advice. We wholly recommend O&K and are confident you won’t regret it”. “O&K provide a range of services to Pancentric including management accounts, payroll, book-keeping and tax advice, at both a corporate and a personal level for the Directors. Their holistic approach to our tax affairs gives us complete confidence, and we are very happy with their service”. 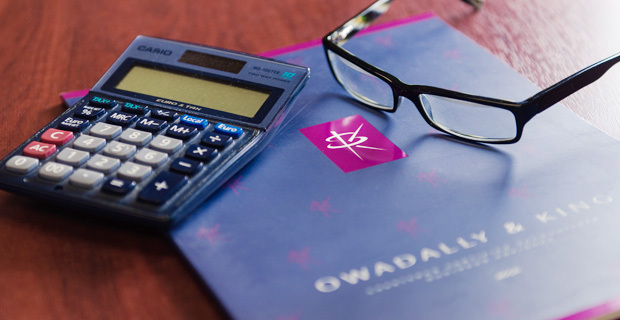 “O&K has provided a valuable service to my business over the past few years not only through an effective accountancy and payroll service, but also providing very useful tax advice both on a personal and business level. I would highly recommend Michelle Biddulph (our account manager) to anyone who is just starting a business or been in business for a while and would value a more proactive approach to their accounting needs”. “I am very excited about the prospect of change and improvement in all areas of my business, thank you”. “Great session, nice and interactive with some very useful information and tips”.